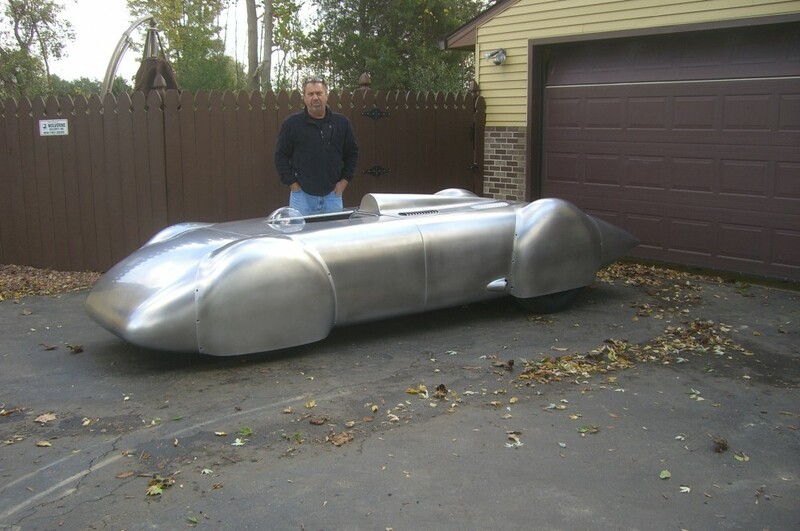 We know this car has been all over the internet like a rash recently, but you don’t let something as cool as this go by. 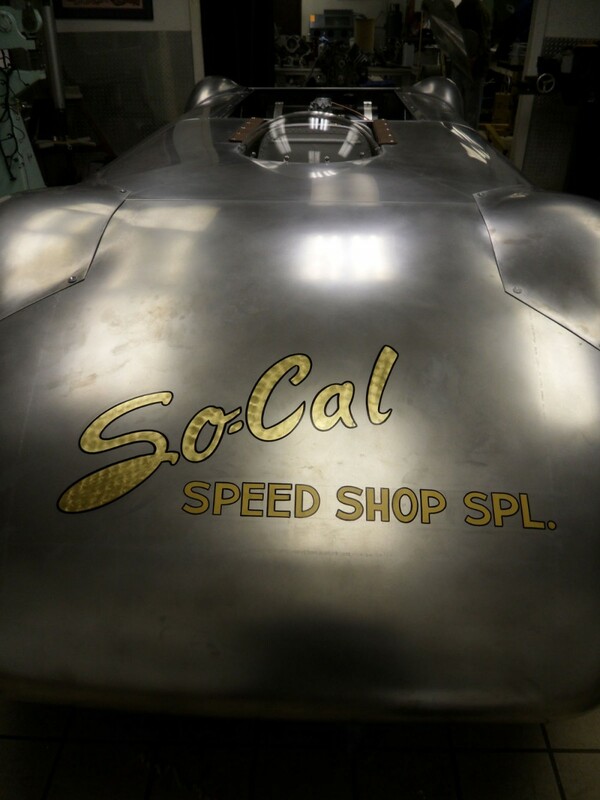 A lot has already been written about the original So-Cal Speed Shop Streamliner, and this fabulous new recreation by Dan Webb and his hugely talented team, so I’m not going to reinvent the wheel here – just concentrate on the important bits – like the Genuine Stromberg carbs! Let’s talk a little history first. 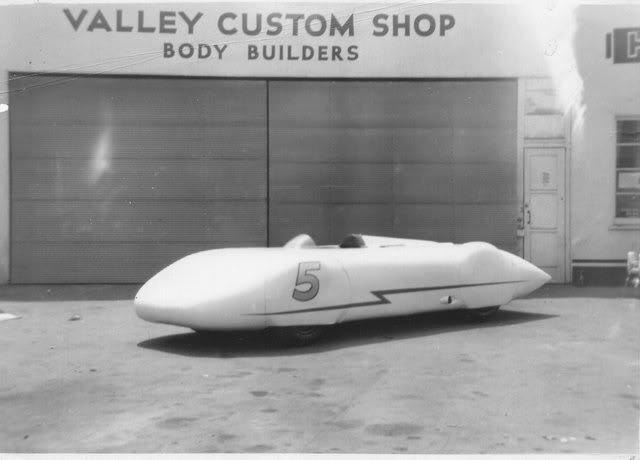 Although it is best associated with So-Cal’s Alex Xydias, the original car was designed by Dean Batchelor with a body built by Neil Emory and Clayton Jensen at Valley Custom. 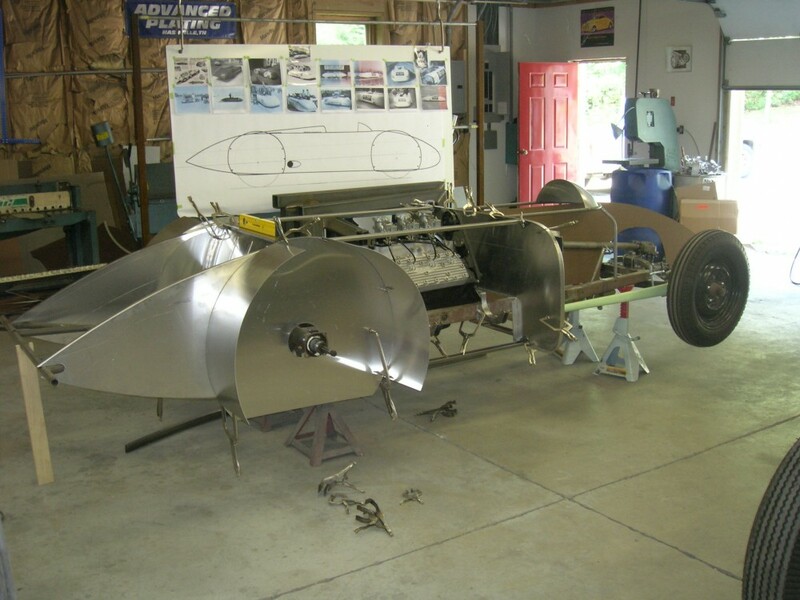 It had a Model T Ford chassis, with a narrowed Model A front axle (to reduce wind resistance) from Dean’s previous Belly Tank racer. And get this. 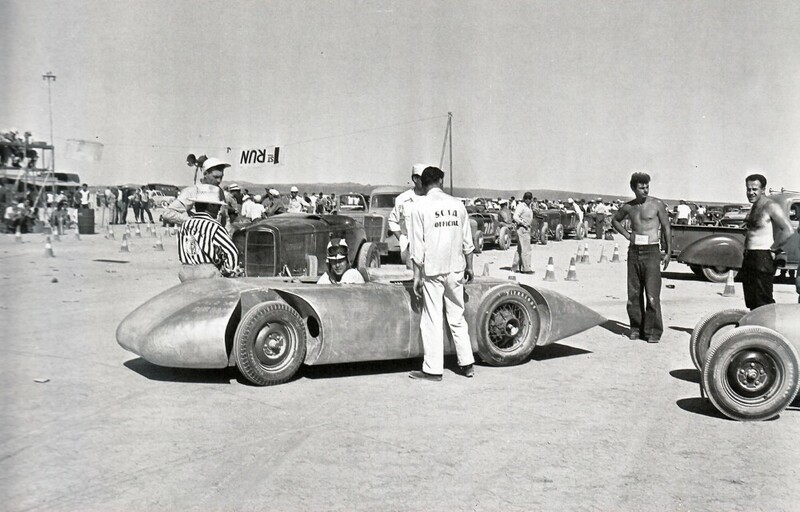 They ran this car at the FIRST EVER Bonneville Speed Trials in 1949. They took two engines. 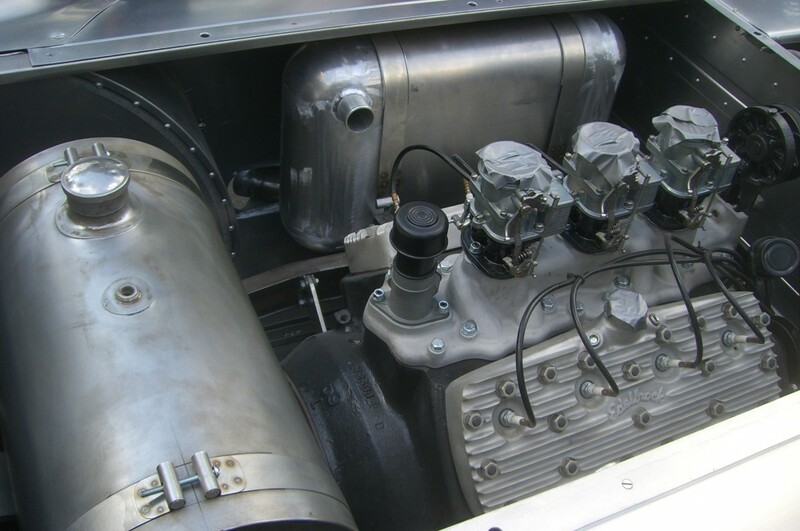 The tiny V8-60 (pictured) from Alex’s old Belly Tank set an A-class record at 159.39mph. 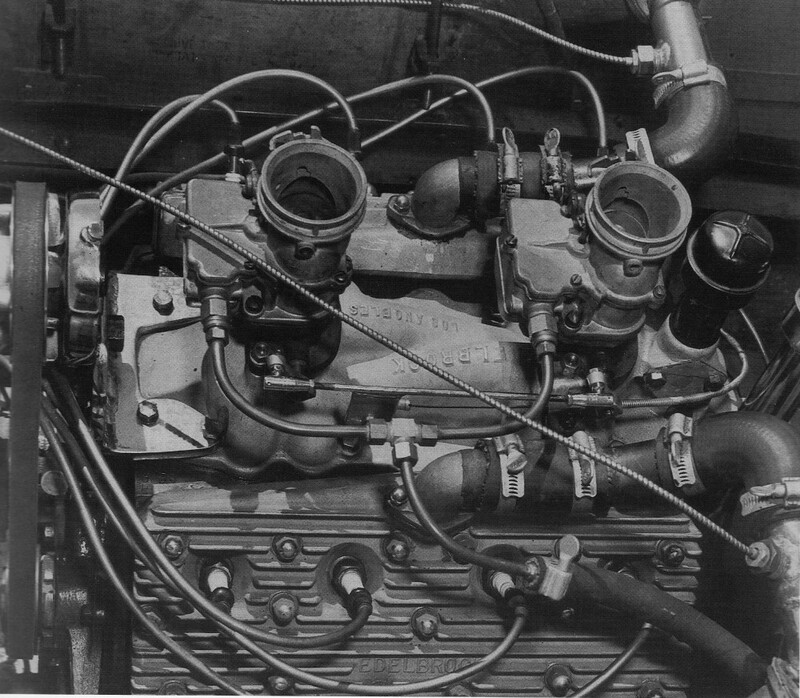 With a Winfield A1 cam, Edelbrock heads and intake, it made a reputed 115 horsepower. 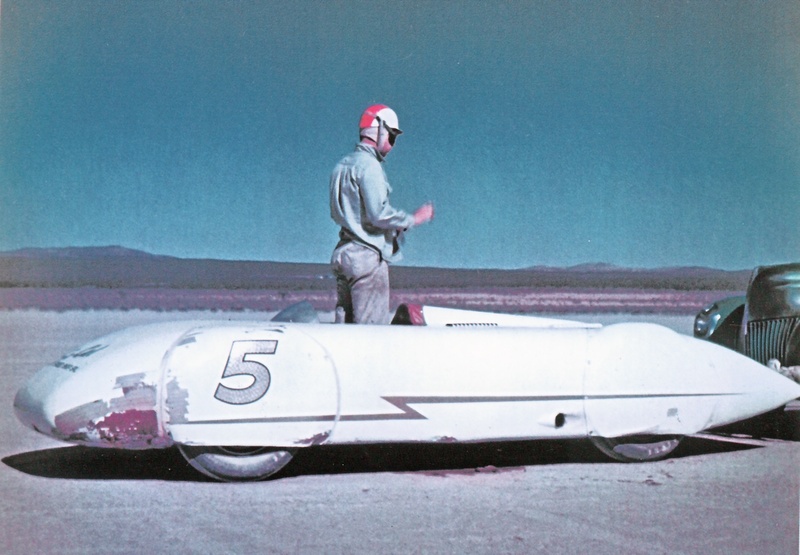 In 1950 it ran 162.95 on just two Stromberg carbs. 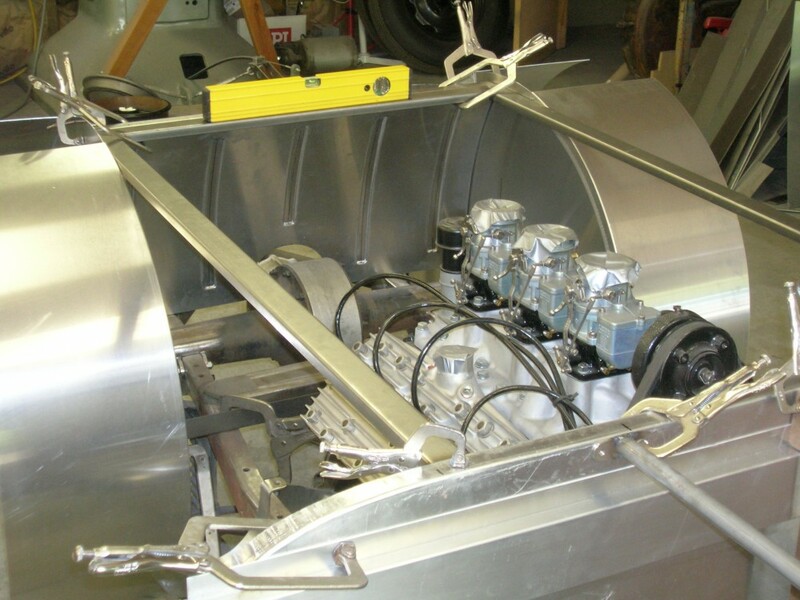 In case you’re wondering, the original car did run without paint early on, and no wheel covers too (check the picture). Then it was painted Alex’s favoured white with gold lettering and numbers – gold leaf, no less. Check out the picture with all the blue sky. 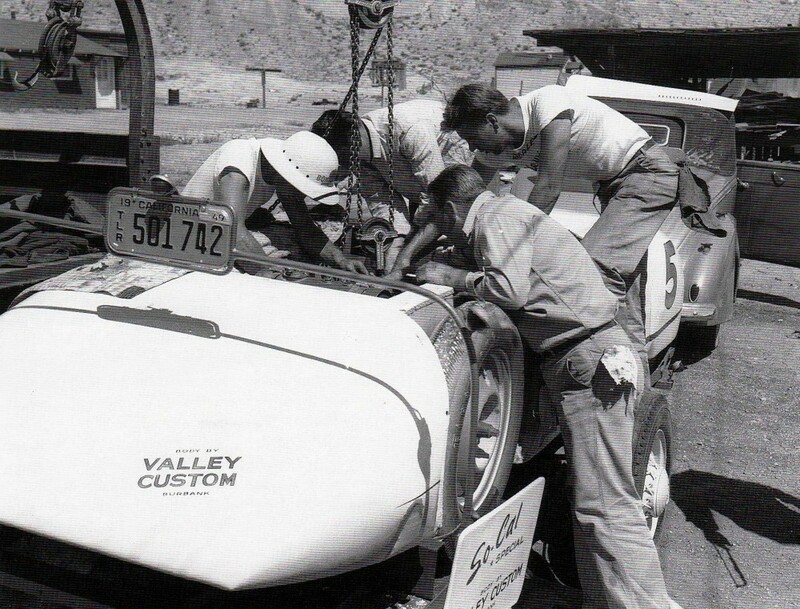 You can see the front end damage caused on the way to Bonneville that year. 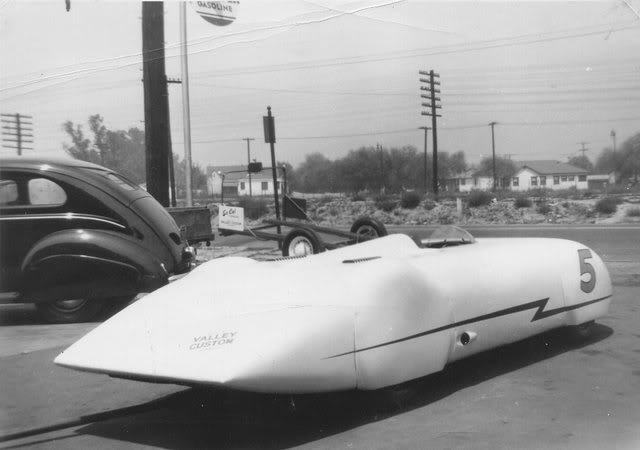 The trailer got away from Alex, jack-knifed and spun 180 degrees causing the front of the Streamliner to hit the rear of Dean’s ’39 Ford Convertible coupe. 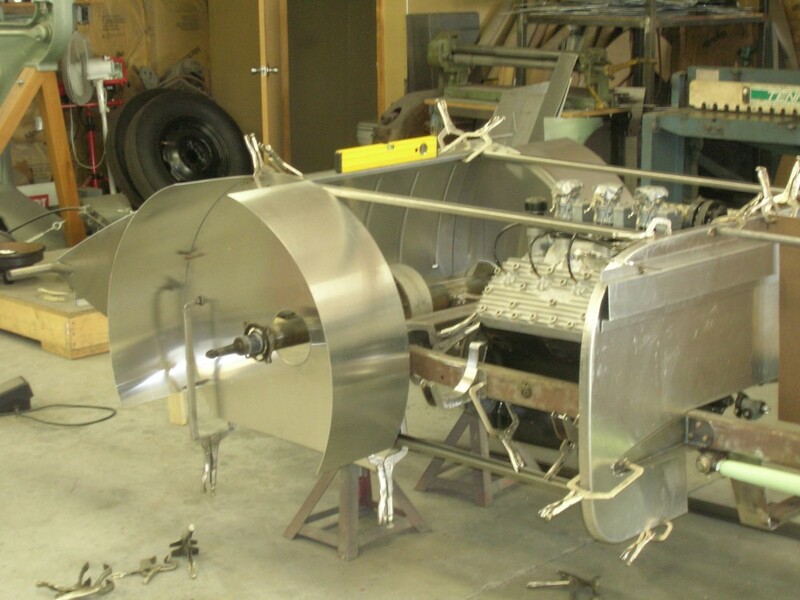 Look closely at the other pic of the guys repairing the V8-60 fibre timing wheel and you can even see the ’39’s bent rear fender. 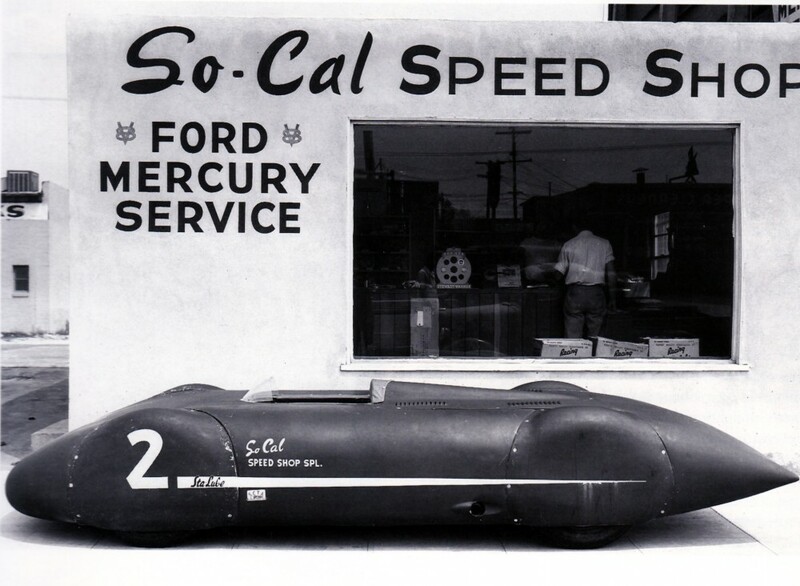 The cool picture of the Streamliner outside the So-Cal Speed Shop was taken for a feature article in Hot Rod magazine in 1950. Check out the Stewart Warner gauges counter display! What to say about the new car that hasn’t already been said? 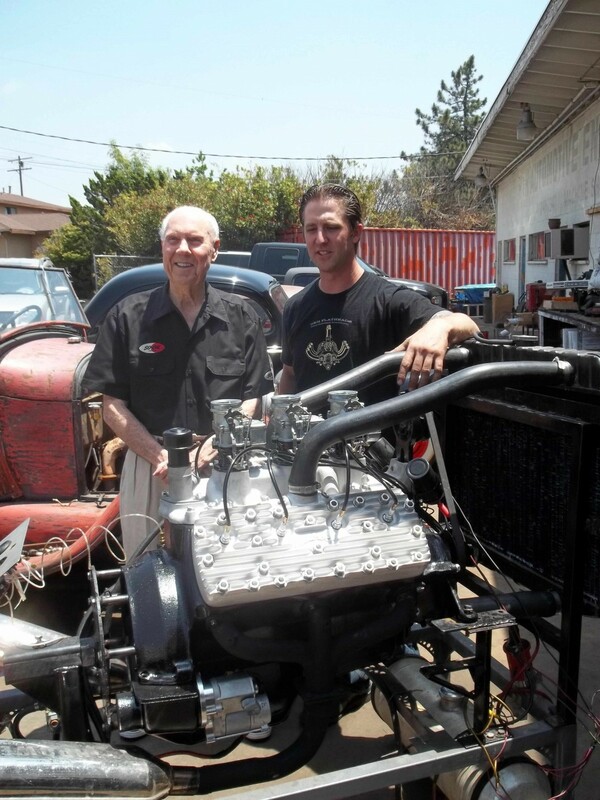 Well, it has a fresh replica of the original Merc motor, built by Genuine Stromberg dealer H & H Flatheads in CA, (that’s Mike Herman with Alex X pictured) with three brand new, out of the box, Stromberg 97s on it. 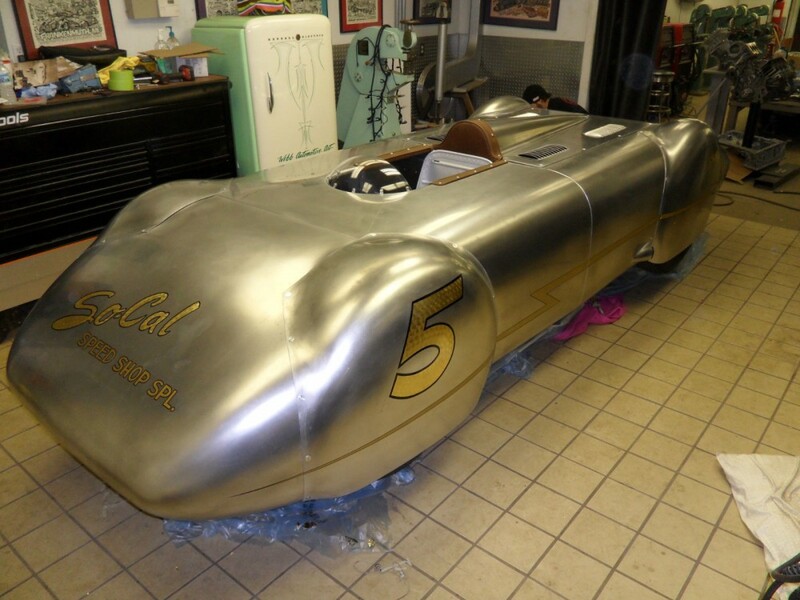 And it will be the centre-piece of a special party at the NHRA Museum during Grand National Roadster Show 2012 to honor Alex Xydias’ 90th birthday. 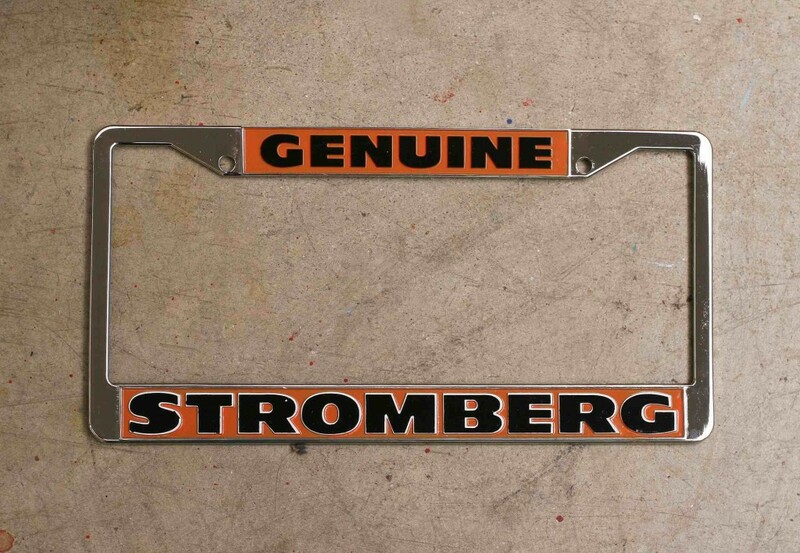 How much do we love the Genuine Stromberg license plate frame? 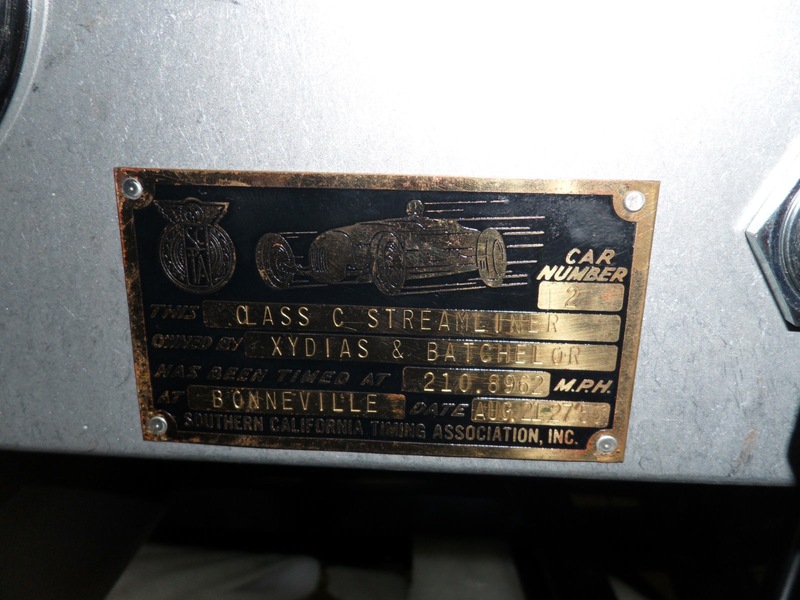 They have a real cool period feel and finish – chrome with orange, black and white Stromberg lettering. They’re sized to fit your US license plate, of course. And they’re yours for just $11.95 – from the Stromberg online shop.